I help folks make their part of the world a better place. And by doing so, the world as a whole becomes a better place. 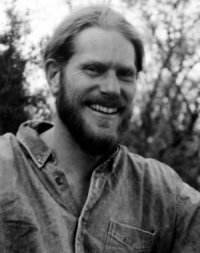 Since 1993 I’ve run a successful permaculture consulting, design, and education business. I share the fun innovations and daily adventures I live while striving to live more sustainably and comfortably in the Sonoran Desert. I plant trees for summer air conditioners and turn windows into winter heaters. By correctly orienting buildings, planning roof overhangs, and planting trees to shelter buildings and yards, homes and yards can heat and cool themselves.